If you’re as passionate about high-quality audio equipment as we are, you’ll no doubt be aware that the Linn Knekt system is Scottish-based manufacturer Linn’s original multi-room audio distribution system. This iconic piece of technology helped pave the way for today’s Linn systems that we know and love today, and inspired other manufacturers to create similar systems of a lesser quality. When Linn launched its Majik DS-I in 2010, the Knekt system was sadly retired. The Majik DS-I, which was in turn replaced by the Majik DSM, was Linn’s first digital stream player to boast an integrated pre-amplifier that allowed connected audio components (such as CD players, turntables, and radio tuners) to be streamed onto a home network, and enjoyed throughout the house. Following its premature retirement, many Linn Knekt owners chose to keep their existing and treasured systems rather than upgrade to a new one. This is likely to be because Linn’s world-class design and manufacturing processes mean that every product they make is built to last. Does your Linn Knekt need servicing or repairs? If you’re one such owner who lives near one of our stores in Essex and London or anywhere else in the UK for that matter, we can help you extend the lifespan, as well as enhance the capabilities of your system even further. Perhaps, you’ve purchased a house or apartment with a pre-installed Linn Knekt system and are unsure what to do when it needs servicing or repairs? With our assistance, you won’t have to continue missing out on one of the world’s best audio systems. 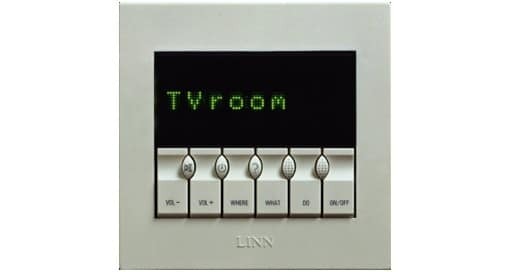 Our company has been installing, performing repairs, and servicing Linn’s multi-room systems for more than twenty years, and we know the Linn Knekt system inside out. In fact, we’re one of Linn’s few UK specialists, and while our showrooms are physically based in Essex (Ongar) and London (Danbury Street, N1), we regularly serve customers from all across the UK. Thanks to Rococo Systems, your time and investment needn’t go to waste. We can help integrate one of Linn’s DS players into existing Knekts, with the exception of the Majik and Sekrit DSI, which have their own built-in pre-amplifiers. We can also help you upgrade to a current Linn audio system when you trade in your existing components. Our team of experts will be happy to demonstrate our extensive range of products in-store or offer you advice over the phone in order to help you make an informed decision. Find out more about servicing and repairs or how to upgrade and trade in today! At Rococo Systems, we do a whole lot more than just high-end audio equipment sales, servicing and repairs. We can also help you build your dream audio system from the ground up using our technical expertise and design skills. Contact Rococo Systems online or visit our London or Essex store in person at Moreton Road, Ongar, Essex, CM5 0LU (01277 890 888) / The Courtyard, 40 Danbury Street, N1 8JU (020 7454 1234).